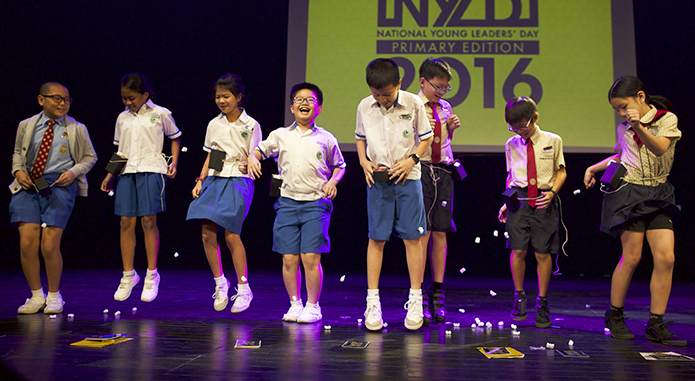 With the running theme of “Celebrating Breakthroughs”, National Young Leaders’ Day (NYLD) 2016 seeks to encourage youth to find their inner strength, empowering them to overcome any obstacle they might encounter on their journey towards the peak of their lives through stories of inspirational speakers. Held in the morning for primary school students, National Young Leaders’ Day Primary Edition (NYLDPE) presented a lively lineup of four speakers with performances that were not only entertaining but carried with them the inspirational message of resilience and breakthrough. Kicking off the event was professional magician and ventriloquist, Shawn Chua, who shared about how his own determination had brought him to unimaginable heights. Shawn explored the notion of how passion drives one to not only do the bare minimum but find ways to go above and beyond. He also dived into how passion gave him the boldness to step out and be different amongst others in his field. Riding on how passion acts as a key driving force through the valleys and peaks of life, Gelyn Ong also shared her journey as a budding, yet accomplish artist. Being the youngest speaker of the day, this 12-year-old proves to be a living testament to youth that anything is possible when pursuing your dreams, regardless of your age. Rounding off NYLDPE, local singer-songwriter Jean Tan shared, “If you put your heart, your mind and your soul to do something. You will get there. You don’t have to search externally to know your worth. You just have to search within.” Looking at Jean and hearing her performance, you would not have guessed that she was born with a condition that prohibited her from ever becoming a singer. After going through multiple operations, she achieved the unachievable, overcoming her disability and becoming an influential musician with the ability to move audiences with her songs and powerful voice. In the afternoon, National Young Leaders’ Day (NYLD) for secondary and tertiary students kicked off with another set of amazing speakers, no less interesting and captivating than those in the earlier session. Josephus Tan, a lawyer specialising in criminal defence litigation started his session by painting a picture of how things used to be for him as a teenager, sharing how even though his education journey was not a prominent one, he still managed to turn things around and worked towards his goals. His captivating, amusing mannerisms as well as intriguing personality and appearance, allowed his message to resonate with many youths who left the theatre feeling like they could take on the world. It was very motivating to see someone who used to face impossible crossroads, now stand up and fight for people to be given a second chance. Vincent Yong, our last speaker ended the day by having the students clasp their chest to feel the thudding of their hearts. As silence swept through the hall, the thud slowly became more distinct, beating with a steady rhythm, becoming clearer and louder. What the students felt was not only their heartbeat but also their sheer potential. “If an egg is broken by outside force, life ends. If broken by inside force, life begins. Great things always begin from inside.” The message of how the search of one’s limitless potential often starts from looking within was what Vincent, founder and director of Danspire, hoped to ingrain into the prospecting minds of the many youths that attended NYLD 2016. A common thread connecting each of the eight speakers’ intricately woven life stories was that regardless of their circumstances, all of them showed resilience, allowing their passion to be their main driving force. They stayed strong till they reached a point of breakthrough, facing obstacles with a fiery determination. Through their stories, we hoped that the youth realise that they are able to overcome different challenges, to spark the flame of determination within their hearts and fuel them to strive for and achieve their personal breakthroughs. 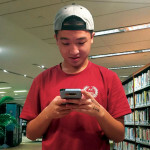 Jovi Lee interned at Halogen in his last year at Victoria School. He enjoys exploring new genres of music and adventuring into new places.